By Jacob Mills in Social Media. Updated on August 3, 2018 . Have you ever thought that what should happened to your Facebook account if you pass away? There are 3 possible things that could be done with your Facebook account after your death. We will be looking at what each path entails and help you decide which of the three options you can pick to not only safeguard your Facebook personal data and privacy, post-death, but also help safeguard your memory. This is done by one of your friends instead of by yourself. Anyone can inform Facebook (click here) about a Friend’s death and the account will be memorialized. A memorialized account allows friends and family members to share memories after a person has passed away. 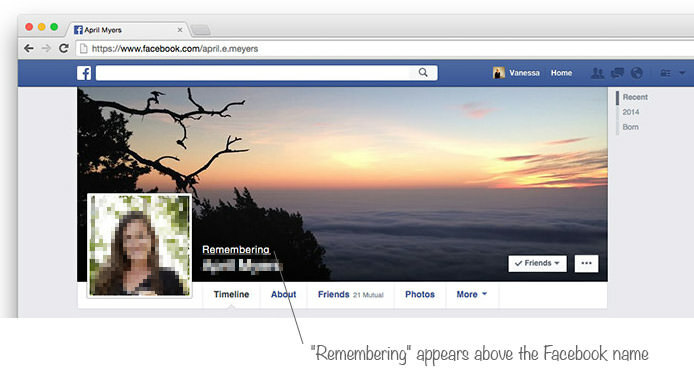 In an account that has been memorialized, the word "Remembering" will appear above the Facebook name like so. You can also nominate a legacy contact which will have restricted access to your account. Once a valid request about the death of a person is sent in, the account will be memorialized and the person who is chosen as their legacy contact will be informed. 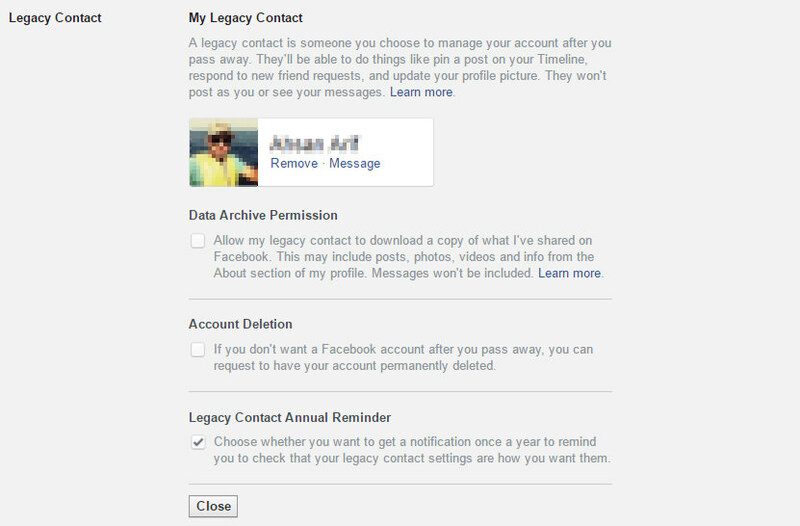 Here is how you can choose a legacy contact for your Facebook account. (Step 1) Go to Settings > Security > Legacy Contact. (Step 2) Click on Edit and type in the name you want to select as the Legacy Contact, and click Add. (Step 3) You can send a message to inform that person of your nomination, or leave a message to be sent only when your account is memorialized. 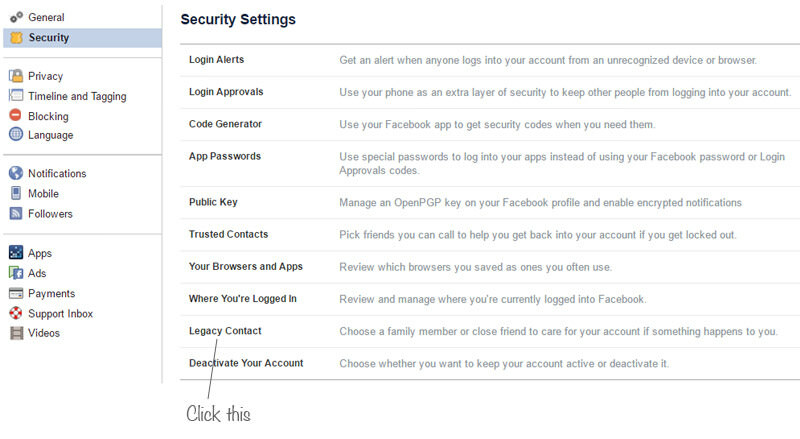 (Step 4) Remember to set the Data Archive Permission which allows your legacy contact to download an archive of posts, photos and profile information you shared on Facebook. By default, you will get an annual reminder on who you want to nominate as your legacy contact. 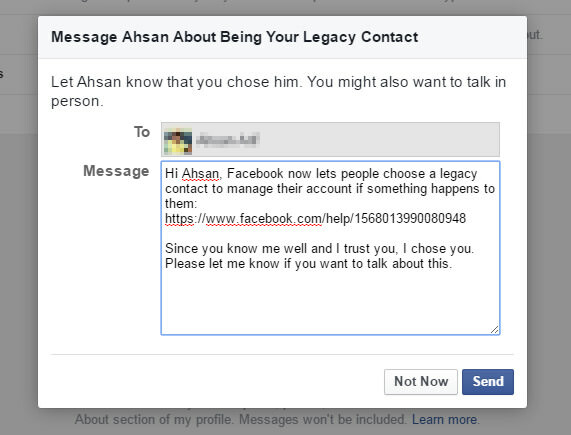 If you are sure you won’t need to change your legacy contact or you dont want to be reminded, untick the box. 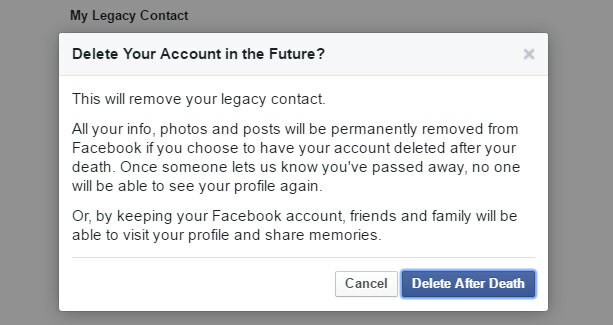 If the two options above aren’t for you and you just want to delete your online presence from Facebook, here’s how you get it deleted after your passing. 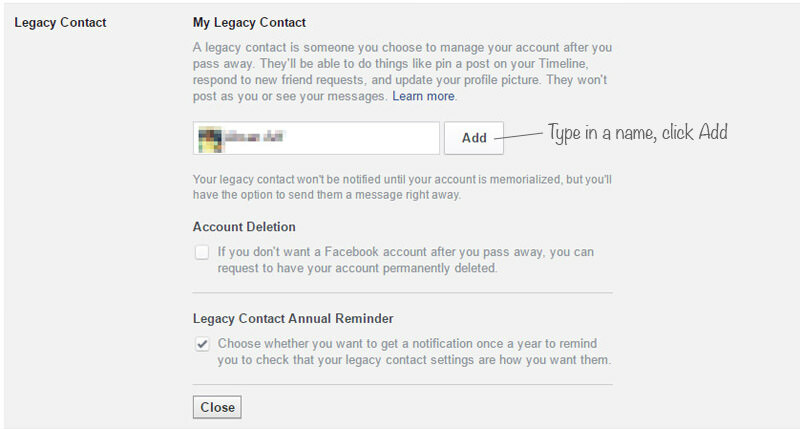 Above the Legacy Contact Annual Reminder is the option for Account Deletion. Tick it. You will be served with a confirmation notice like so. Click Delete After Death and enter your password before you click Submit.